Temarizushi is a type of sushi that mostly use for celebration in Japan. Especially on Girl’s days these colorful rice balls (named after the traditional temari yarn ball toy) served as a treat for any family little girls. 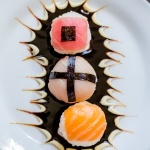 Simply put, temari sushi is just a ball shape of rice with a sashimi or veggies topping and nicely decoration. Topping for temari can be anything such a raw fish sashimi, egg, cooked seafood, thin veggies slices.. Decorations that often used are nori pieces, roe, scallion, sauce wasabi dab, etc. 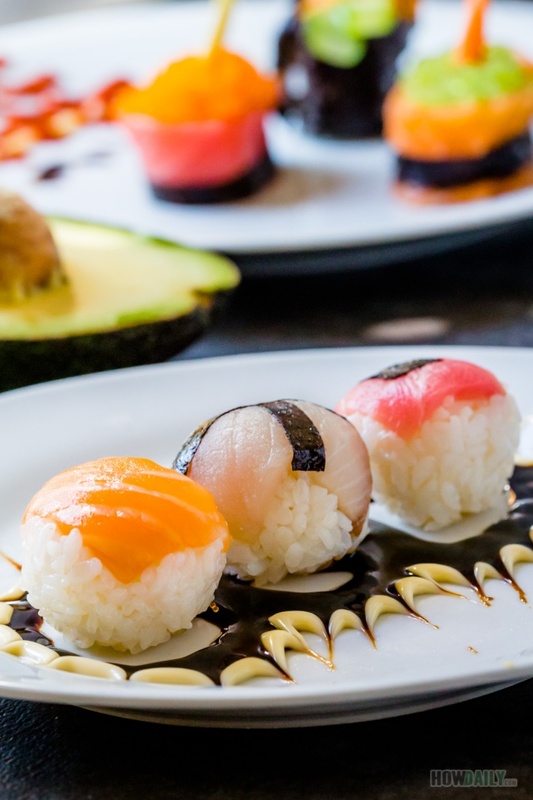 Sushi rice used in making temari can be the traditional seasoned sushi rice or mix with additional flavor/colorants like sakura denbu (pink), squid ink (dark purple/black), reduced fruit juice, furikake… Just everything colorful that come together. 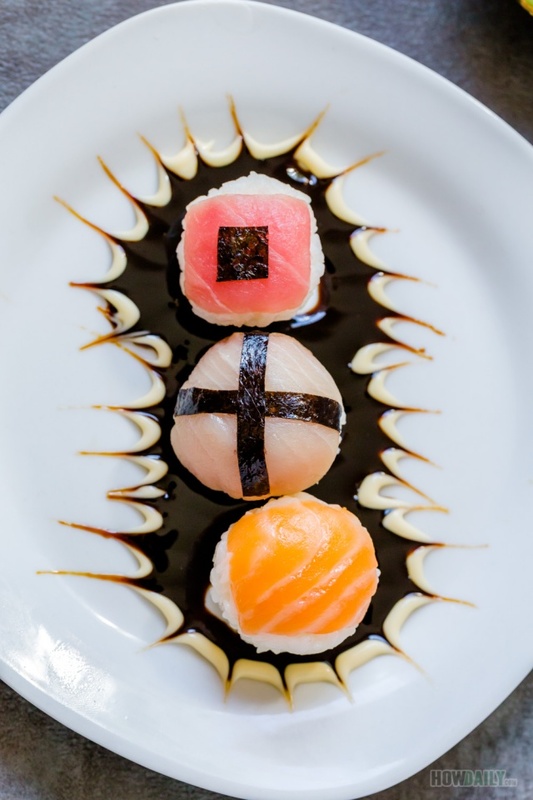 Making temari sushi is simple. Just pluck some rice ball and place on top of a plastic wrap. Then add some negi, sashimi or the like and finally twist the wrap to form shape. It’s always nice and fun to see and platter full of different varieties of temari rice ball. Soy sauce is all you would ever need with these. Beautiful and vibrant temarizushi to serve as an appetizer or for your sushi party. Use various sashimi type and vegetable to add more colors to your dish. Get a large enough plastic wrap to place over your hand. Swoop 2 spoonful of sushi rice onto your palm. Close your hand to have plastic wrap cover rice ball, twist a little to form into ball shape. Repeat to make remaining rice ball. Now get another clean piece of plastic. Place 1 sashimi onto plastic wrap, then top with a rice ball. Wrap the ball/sashimi, hold, press and twist the plastic wrap. Round ball shape will be formed now, just unwrap and place temari ball onto serving plate. Repeat for remaining rice balls. Decorate with cut out nori or garnishment.